Dominica real estate, apartments for rent in Dominica. 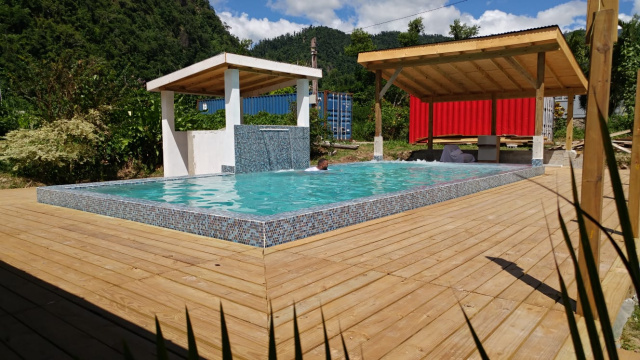 2 bedroom 2 bath fully furnished executive apartment with shared pool for rent in the vicinity of Roseau. This fully fenced property is fully equipped to meet your needs. 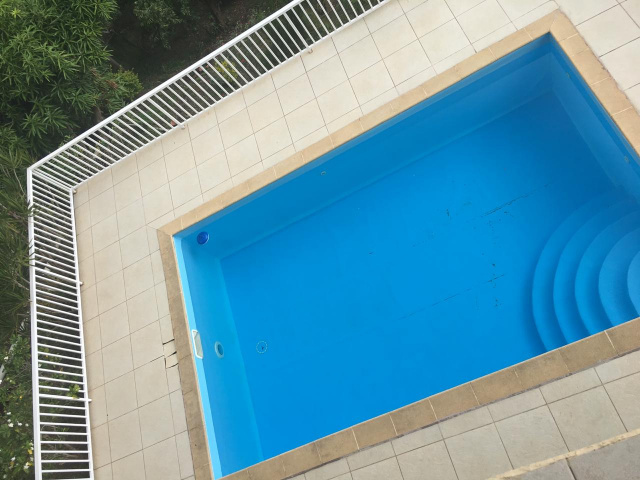 Apartment boasts large deck, air-condition in both bedrooms, newly added swimming pool (for use by both tenants of the property). 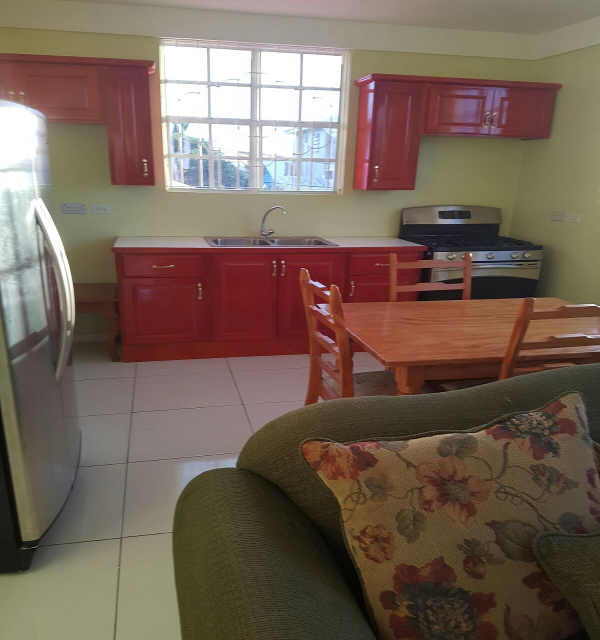 3 bedroom 2 bath main house also available for rent at the same location at US$2,000.00 per month. 2 bedroom 2 bath upscale main house with pool on the outskirts of Roseau. House offers off-street parking, air-condition in both bedrooms, spacious patio for entertaining and oceanview. Modern 1 and 2 bedroom apartments for rent within a 10 minute walk of the city centre. Apartment enjoys a cool breeze year-round but for your added comfort, bedroom is air-conditioned. Rent includes WIFI, cable and water. TO RENT: CALL (347) 298 3403 or (767) 612-7574 or click to contact. Ref# DOMAR11. FOR SHORT LETS, PLEASE ENQUIRE. "SORRY, ALL UNITS CURRENTLY RENTED"
Spacious 1 bedroom 1 bath apartment with spectacular view for rent in Canefield East. This apartment is fully equipped for your long term needs: AC in bedroom, LED tv, washer, microwave, hot/cold water, etc. 2 bedroom 1 bath fully furnished Executive upper floor apartment for rent in Goodwill, Dominica. This apartment is less than a 10 minute walk to the heart of the capital city, Roseau. Apartment is fully equipped to meet your needs. Furnishings include washer, microwave, etc. Both bedrooms are air-conditioned. ON-SITE PARKING IS AVAILABLE ON THIS COMPOUND. PROFESSIONALS ONLY AT THIS LOCATION. 3 bedroom 2 bath modern apartment for rent in the heart of Roseau. This 3rd floor apartment is fully equipped for your long-term needs. All 3 bedrooms are air-conditioned for your added comfort. 2 bedroom 1 bath newly built fully furnished apartment in Upper Goodwill. This upper level apartment provides a lovely view from open plan kitchen/dining/living area. The apartment comes equipped with washer, microwave, portable AC units, etc. 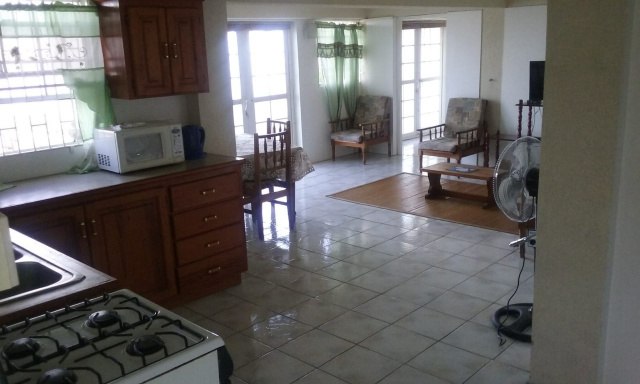 One bedroom tastefully furnished apartment in Upper Goodwill within a 10 minute walk of the Princess Margaret Hospital and also the capital city, Roseau. This tastefully furnished apartment with AC is fully equipped to meet your short and long-term needs. You will find that the lovingly maintained garden with its carefully selected outdoor furnishings is the perfect spot for relaxation. Apartment is equipped with washer, LCD tv, microwave, etc. The quoted rent is solely for stays of one year or more. For stays less than 1 year, please enquire. Exquisitely furnished one bedroom spacious apartment for rent in Upper Goodwill. This fully air-conditioned apartment is within a 10 minute walk of the Princess Margaret Hospital and within a 15 minute walk of the Capital City, Roseau. The apartment comes fully equipped with queen size bed, washer, microwave, 2 LED tvs, barbecue grill, linen, etc. You'll enjoy relaxing in the lovely garden of this apartment.